Psychological Dream Meaning: Given that you have not been adducted during the night, to dream of an alien indicates that you have encountered part of the psyche which is unfamiliar to you. You may feel that this ‘unfamiliar’ part of yourself is hostile or an enemy. Your first step should be to find out what this ‘foreign’ part of yourself is and get to know this neglected aspect of yourself. For example, you may be behaving in ways that are ‘alien’ to you or have feelings that are ‘unlike you’. It is unhealthy to repress or neglect these components of your nature. What at first appears as frightening because of its unfamiliarity may in time become a mentor and ally. This alter-ego may have something good to offer you. Also, the alien may represent a situation you have recently experienced. When we start a new job we may at first feel ‘alienated’ or you may feel that you are like an outsider. Alternatively, you may feel emotionally in another world to everyone else. 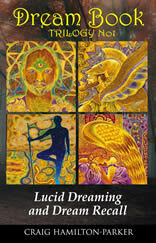 Psychological Dream Meaning: From a religious standpoint, the altar can have a number of meanings. Firstly, it is a place of sacrifice so the dream may symbolise a personal sacrifice you have made or intend to make. Or it may mean that you have sacrificed something within yourself: something within you must die if a new, happy life is to born. For example, you may sacrifice the ego so that more sincere feelings can manifest in your life. In addition, the altar may symbolise the wedding of the unconscious and conscious mind- the union of opposites that compensates for the development of a one-sided personality. Another interpretation may be that it symbolises the consecration of something you deem sacred. Many dreams express themselves with puns. Maybe the dream is suggesting that you should ‘alter’ your plans? Psychological Dream Meaning:Carl Jung believed that the secret art of the alchemists was a system of symbols used to bring about the transformation of the personality from its base state (Lead) to exalted spiritual consciousness (Gold). 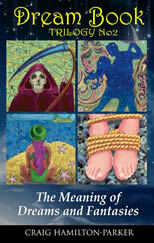 Alchemical symbols are archetypal images from the unconscious. If you dream of alchemy then you are now experiencing a period of inner transformation that may sometimes be painful but is most definitely for the best. 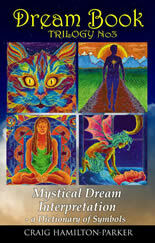 Psychological Dream Meaning: Animals signify the primal, instinctive and sometimes base desires. Your dream may be drawing your attention to an aspect of your nature that you undervalue or part of yourself that you repress. Try to get in touch with the ‘natural you’. Be more spontaneous and less rational. Within everyone is a deep instinctive energy that has a transforming power. If you dream of eating an animal this is a classical mythical symbol that represents assimilating natural wisdom. Fighting an animal may show that you are grappling with your shadow- the hidden part of yourself that the conscious mind has rejected. Animals guarding a treasure can represent the brutish passions which may prevent you from realising your true spiritual potential. Animals may also express certain qualities: For example, a dog may represent devotion, a cat may represent the intuition, a tiger may represent fear and a pig may symbolise gluttony and bad behaviour. Sometimes animals can represent other people i.e. we often describe people with animal images: sly as a fox, slippery as a fish, a lying snake, strong as an ox etc. Psychological Dream Meaning: As a practising medium I believe that the spirit world can contact us through dreams and that angels are the higher spirit beings that help us to progress spiritually. Since earliest times, angels have been known as messengers from God. In a psychological sense, this may be a message from parts of yourself which could lead to greater fulfilment and happiness. Its wings suggest flight and transcendence. If the angel is sinister, recognise it as something in your life that may cause trouble. Pay attention to these things and give them expression in your life. If you dream of the angel of death, it may not necessarily be an omen of death. It may symbolise your anxiety looking for a way to express itself. Psychological Dream Meaning: The Anima is the feminine principle in the male psyche. It is often symbolised by a beautiful young woman. She may leave the dreamer determined that he must embark on a heroic quest to meet her again. The dreamer may mistakenly look for the ‘girl of his dreams’ in the outside world but in reality the dream points to the motivation to discover the feminine part of himself. The integration of both the masculine and feminine sides of our nature leads to psychological health and wholeness. Similarly, the Animus is the masculine principle in the female psyche. A woman may dream of it in the guise of a beautiful young man or a hero figure.